went with sis & b-i-l to watch chinese operatic performance at nkf centre on 6.9.2014.
there was the usual long queue for hoover rojak. 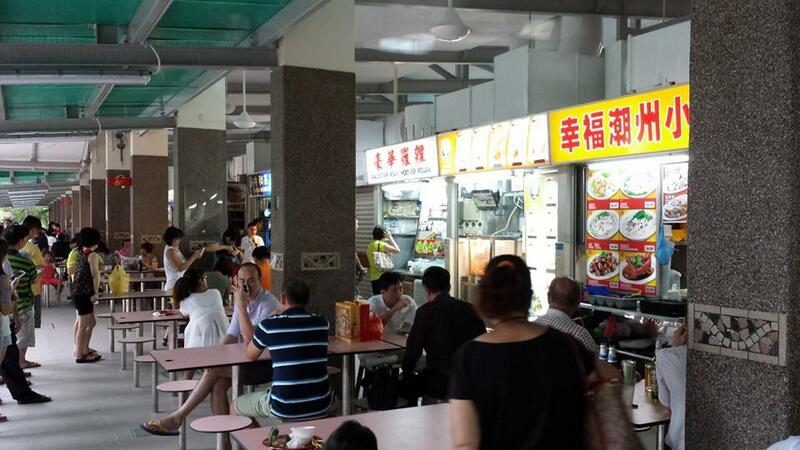 the liang zhao ji 梁照记 duck rice stall was closed. 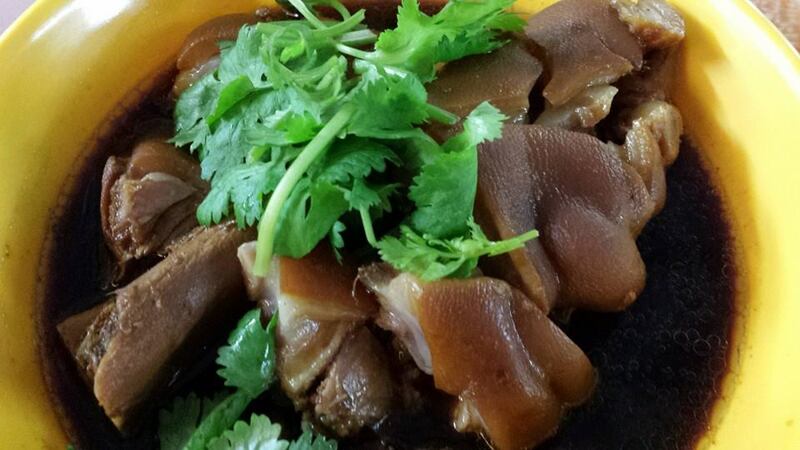 the next stall, 幸福潮州小食, seems to be popular with teochew pig trotter jelly (猪脚冻) & shark jelly (鲨鱼冻). i wanted more to eat the pig trotters and looking at the trotter jelly it didn’t look that great, so i ordered just the pig trotters & fish maw soup. think i will go back one day to try both the pig trotter jelly (猪脚冻) & shark jelly (鲨鱼冻). the pig trotters were very good. 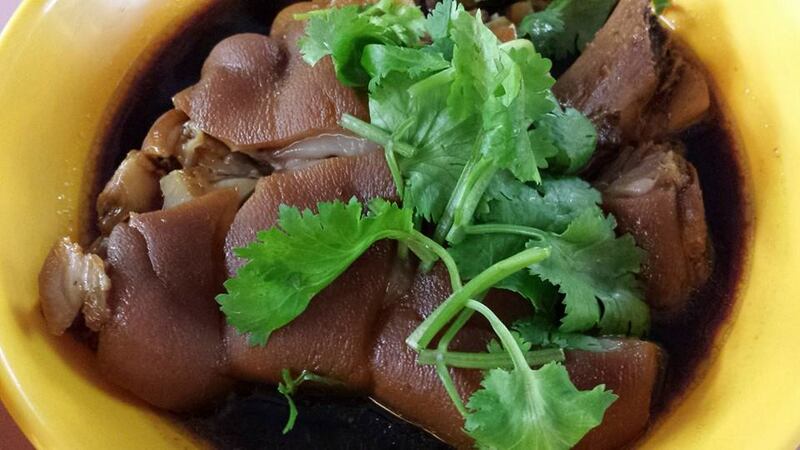 everything was right about this pig trotter – good gelatinous texture (in teochew we say “kar kar”), cooked just right, & tasty. just compared the above photo with that of the quite poor ones i had at the famous han jia bakuteh, pork leg at east coast lagoon food village on 4.7.2014.
my sis came here to take her favourite fish soup at hoover fish porridge. 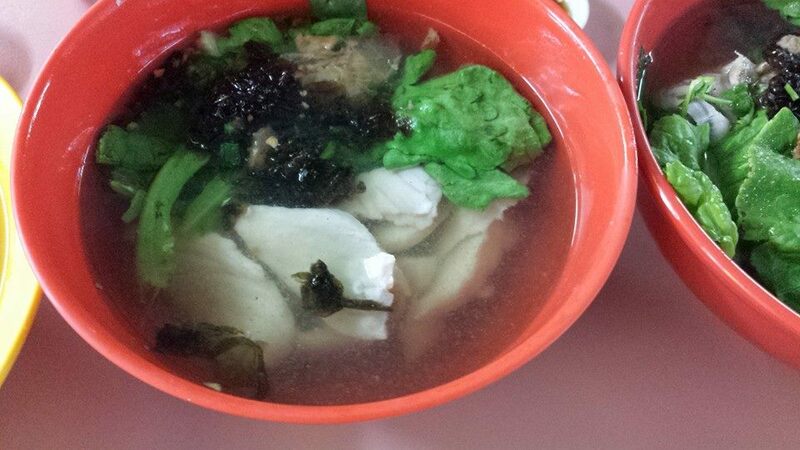 she ordered 1 bowl of sliced fish soup & 1 bowl of fish head soup, S$12 including 2 bowls of rice. 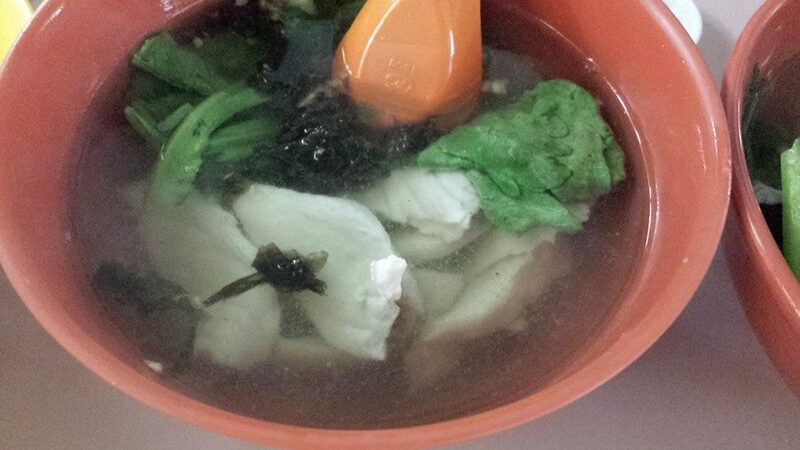 the sliced fish soup was sweeter & ok amount of fish. 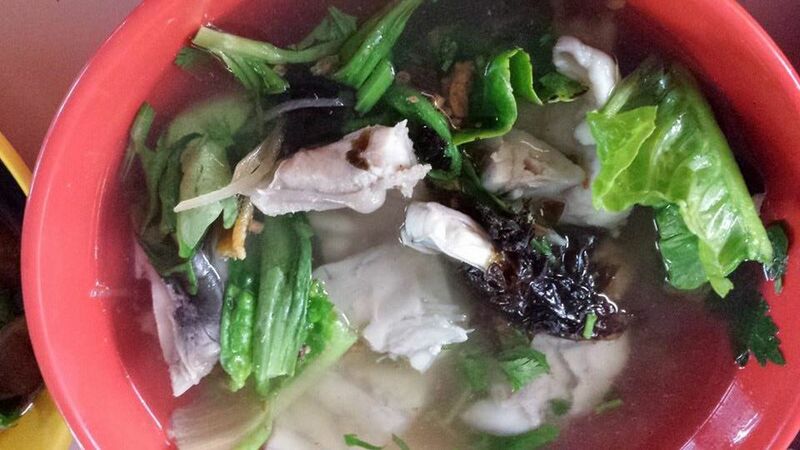 i usually like fish head but the quantity was quite small & not so much meat vs bones. for me, i didn’t think much of this fish soup. it was ok but just like any fish soup. also fish soup not my favourite dish. 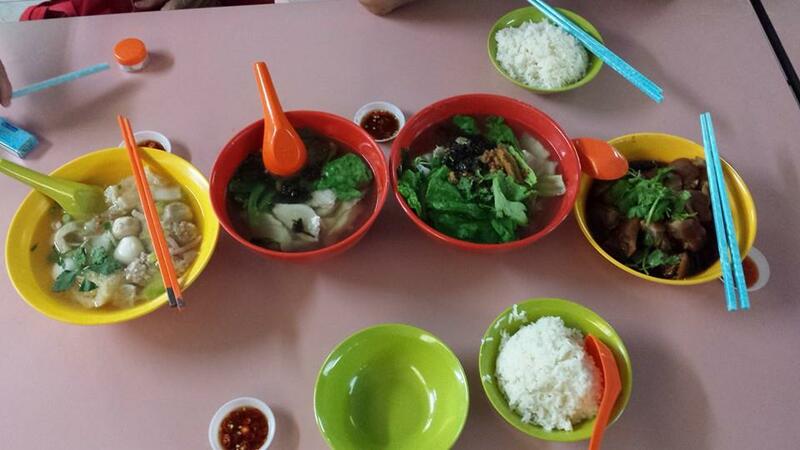 dinner for 3pax came to S$21.50, so about S$7pax, quite ok.
after dinner i saw 2 chinese herbal mutton soup stalls. i would want to try them next time. 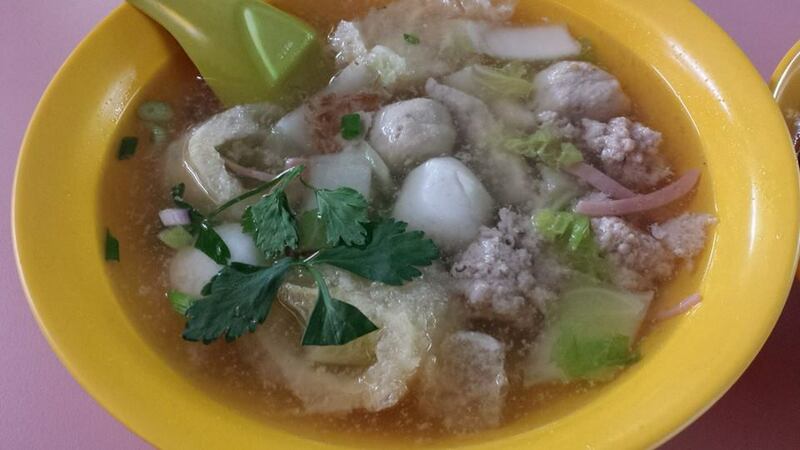 This entry was posted in Buon Appetito!, Hawker Food Tour & Hike in Singapore and tagged fish head soup, fish maw soup, hawker centre, hawker food, hoover fish soup, pig trotter jelly, pig trotters, shark jelly, sliced fish soup, whampoa market, 幸福潮州小食. Bookmark the permalink.